2 Bedroom Flat For Sale in Watford, Hertfordshire for Asking Price £405,000. Over 70% Sold On Phase One. Located on Kier's new development, is a Second Floor 2-Bed/2-Bath apartment that forms part of Woodlands, the first phase at Watford Riverwell which boasts a collection of 1, 2 & 3 bedroom apartments. 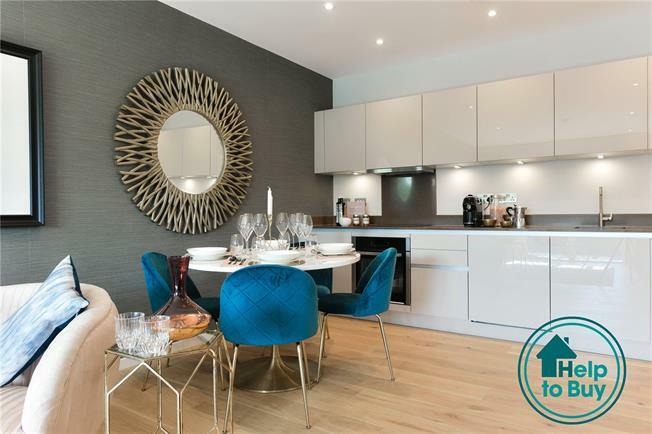 With views of landscaped greenery the apartment offers a fully fitted Kitchen, fully tiled Ensuite Bathroom and fitted wardrobes to Master Bedroom, fully tiled Family Bathroom, Balcony and flooring throughout. Watford Riverwell is an exciting partnership between Kier Property and Watford Borough Council to create a fantastic new community within the area of Watford. Situated within a breath-taking landscaped setting, the development is close to Watford’s town centre. This regeneration will cater for over 500 new homes along with leisure and retail facilities to include shops, restaurants, supermarkets and a hotel. There are also plans for a primary school and centre for the community. Woodlands will be the first phase at Watford Riverwell and boasts a collection of spacious 1, 2 and 3 bedroom apartments. These contemporary, highly specified homes offer views of landscaped surroundings which border the restored River Colne. Riverwell residents will enjoy a calm contrast to the busy town centre while still benefitting from fast rail connections to central London. This is urban living within a naturally inspiring setting.